Internal combustion engines operate through ignition of air and fuel. When this explosion –under pressure – makes its way to the crankcase through the rings a blow by occurs. The cylinder liners and rings wear out over time, and you will notice that the number of blow-by increases. You identify cars are experiencing blow by through soot and deposits being emitted by the exhaust. The car also experiences low performance due to the inefficient compression of the gases. The pistons suffer, and this leads to a loss of horsepower. If not solved, blow by will cause further engine trouble and increased engine oil consumption. There are a few different things that could cause blow by. Generally, blow-by is a bad thing and often not easy or cheap to fix. However, check out these different causes. However, if you experience blow-by, you do want to check the crankcase breathing to make sure it’s not blocked first. Pistons are vital for moving the crankshaft. When the pistons start wearing out, they become smaller while the cylinder walls become larger. 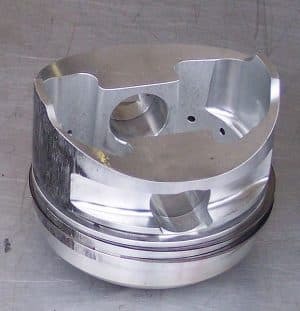 Pistons are mostly made from aluminum – which happens to be a soft metal – when it wears out it creates grooves in the piston while deposit accumulation occurs on the cylinder walls. The fuel-air mixture soon finds its way into the crankshaft. The piston rings are continuously being pushed back and forth in the cylinder wall, and with time they become destroyed. This leads to leakage of gases which causes blow by. The solution for smashed rings is to take out the piston and replace them. 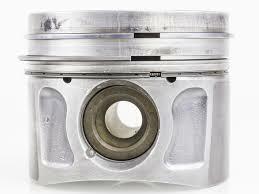 The continuous movement of the pistons will with time lead to damaged cylinder walls. If not solved immediately the walls will become depleted, and this leads to them leaking gases. You can often notice damaged cylinder walls by listening for piston slap. How do you fix a blow by? A blow by will reduce engine efficiency by increasing the intake of oil and fuel. The piston rings and cylinder walls do wear hence allowing more fuel to flow to the crankcase. Blow by can affect the intake valves. When the blow finds its way to the cylinder, it can cause the engine to knock. Knocking happens when the fuel and air mixture ignites before the spark plugs have rendered their charge. Eventually, knocking will result in massive engine failure. Blow by will lead to the accumulation of sludge into the intake valves and this impedes airflow. Blow-by is often caused by compression that is going through the pistons down to the crankcase, which will reduce the compression and efficiency. In the most cases, the whole engine has to get taken apart to fix the problem, however, if your vehicle is old there are some things you can do to make your car run for a while more. The fact that your car is experiencing blow by does not mean that you will need to purchase a new engine. A new engine can be expensive depending on the make of the car or truck. To prevent blow by you can opt to clean the engine and prevent further problems. If the rest of the engine components are still functioning well, you can use a flushing oil concentrate to clean the engine. The concentrate is mixed with some hard baked carbon, and the mixture is run through the engine’s movable parts. The concentrate can remove the engine sludge, reduce smoke and blow by, free piston rings and restore compression. A simple engine oil treatment can help reduce blow by. As an engine age, gaps are created within the movable parts. Combustion gases leak from the piston rings. To fill in these gaps oil treatment is used. This leads to improved engine performance. We do usually use the Rislone treatment to fix blow-by. However, if your engine is very worn or damaged it will most likely not make any difference. If you want to try it – You can find it here on Amazon. Avoid performing oil treatment when the engine is hot. Wait for it to cool. Put the car at park or neutral and ensure that emergency brake is on. Next, open the car hood and look for the oil filter. Most of the engine oil cans have an image on them for easy identification. To open it twist in a clockwise location. Use a funnel to put oil. Put the recommended amount to your engine. Once done start the engine and let it idle for a few minutes. This will give the poured in oil to circulate to all the movable parts. It is recommended that during your next oil change you find oil that is one grade higher. You can also use straight oils during warm seasons while use 20, 30 weight oil during winter. Heavyweight oil has been known to reduce blow by in diesel engines. If all fails to take your car to the mechanic. Why blow by is dangerous for your engine? Blow by does occur in many diesel engines. The air/fuel mixture at times finds itself into the crankcase. This builds up the pressure in the crankcase, and you will start experiencing a decline in engine power. If the problem is not fixed it will this increased pressure will destroy other engine parts. Most of the parts in an engine are made from metal, and it expands under heat. To cater to this expansion, the pistons are made slightly smaller than the steel cylinder. If they were the same size as the cylinder, we could have a constriction inside. Normal blow-by occurs in cold engine as it heats up. Blow by is a common problem for internal combustion engines. Pistons move up and down when the air/fuel mixture ignites, and this moves the crankshaft and drives axles. With time the pistons get worn out, and the cylinder walls start leaking. This gives way to the combustion mixture to find its way to the crankshaft. Blow by cause engine efficiency and you will find yourself spending more on fuel and oil. They also reduce the performance of the car. You will try to accelerate, but somehow the car won’t peak as it used to. There are various solutions to reduce blow by including adding oil that is weightier, to installing a catch can. The catch can capture air and oil favors before they enter the combustion chamber. Some truck owners have successfully dealt with blow by having a flushing oil concentrate. This is used to clean the engine off sludge.